Germany launched its second UNSCR1325 National Action Plan (NAP) for the period of 2017-2020, updating the provisions of the first NAP (2013-2016). The NAP came about through a national effort led by the Ministries of the Inter-Ministerial Working Group 1325, which consists fully of ministries and excludes civil society. The six thematic focal areas of prevention, participation, protection, reconstruction, preparation of operations, and criminal prosecution that are contained in the 2013-2016 Action Plan reflect the goals of the Women, Peace and Security Agenda comprehensively and appropriately in the view of the Federal Government. The ultimate goals of the recent NAP is to strengthen the Women, Peace and Security Agenda at the national, regional and international levels and prevent crisis and armed conflict. To realise these goals, the NAP encourages the systematic integration of a gender perspective in all phases of conflict (prevention, resolution, stabilisation, peacebuilding, reconstruction and rehabilitation). Germany has been a part of the U.S.-led coalition against ISIS in Iraq/Daesh since 2015. 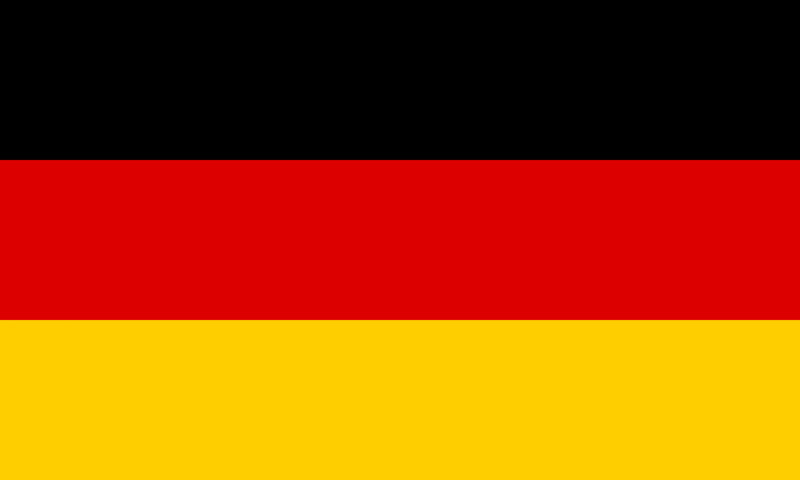 Germany is also a key contributor to UN peacekeeping operations and NATO military missions, and provides international humanitarian relief, and development assistance. Internally, Germany is significantly affected by the inflow of refugees. Although gender mainstreaming programmes exist in the German Government, women in Germany do not have the same opportunities and pay as men. They also remain a minority in decision-making positions. Women refugees in Germany face numerous forms of gender-based violence. These incidents remain largely under-reported as female refugees are hesitant to report incidences of sexual assault because of their experiences with the German legal system, and if the perpetrators are family members or security guards working at the refugee centres. The 2017 – 2020 NAP builds on this comprehensive approach, focusing on the thematic focal areas in a slightly altered form, and supplements them with the following focal areas: strengthening the Women, Peace and Security Agenda and promoting it at the national, regional and international levels. However, the NAP does not meet the criteria of effectiveness identified by the OSCE. For instance, it lacks specific budget allocation, nor does it include a monitoring mechanism and concrete indicators to assess the implementation of the resolution on the ground. References to civil society’s role in the process is also minimal in the NAP. Specifically, the NAP’s development stages do not include civil society representatives. WILPF’s section in Germany was involved in the NAP process. Since 2002, the organisation has pushed for the first NAP and continues to accompany the process. A broader alliance called Bündnis1325, which WILPF is a part of, prepared the ground for the 1st NAP and accompanied the NAP implementation through the process. Within the framework of the 2nd NAP, WILPF Germany, as well as other civil society organisations, participate in regular consultative processes with the Inter-Ministerial Working Group on the NAP implementation. Civil society has not been named a valuable actor in the process of the NAP development. The Federal Government established a consultative group comprised of civil society representatives and of the Ministries that are part of the Inter-Ministerial Working Group as a strategic element in strengthening the qualitative involvement of civil society. The consultative group will meet twice per year for an exchange about the implementation of the 2017-2020 NAP and to discuss strategic and thematic issues. The German missions abroad are tasked to promote and strengthen cooperation with suitable civil society organisations and relevant target groups in the context of the Women, Peace and Security Agenda.The inter-ministerial working group will invite representatives of civil society organizations to an annual meeting. In this meeting participants will share information regarding the status of the Action Plan's implementation and discuss proposals for its further development. The NAP does not include a monitoring mechanism and concrete indicators to assess the implementation of the resolution on the ground. The 2017-2020 NAP was drafted jointly by the Ministries of the Inter-Ministerial Working Group 1325 – namely, the Federal Foreign Office (AA), the Federal Ministry for Family Affairs, Senior Citizens, Women and Youth (BMFSFJ), the Federal Ministry of the Interior (BMI), the Federal Ministry of Justice and Consumer Protection (BMJV), the Federal Ministry of Defence (BMVg), and the Federal Ministry for Economic Cooperation and Development (BMZ). The Federal Government established a consultative group comprised of civil society representatives and of the Ministries that are a part of the Inter-Ministerial Working Group as a strategic element in strengthening the qualitative involvement of civil society. The consultative group will meet twice per year for an exchange about the implementation of the 2017-2020 NAP and to discuss strategic and thematic issues. The implementation period for this NAP is 2017- 2020. The NAP lacks specific budget allocation that would ensure sufficient resources. It states that the Federal Government provides the necessary financial resources for the implementation of the NAP. The NAP identifies arms as a risk to women’s security. It encourages the intensified participation of women in disarmament and arms control issues in selected regions of Africa, Asia, Latin America, and the Middle East. The NAP calls for integrating a gender perspective in planning and carrying out disarmament and arms control projects. It also calls for the continuation of measures to prevent the proliferation and combat the illegal trade of small arms, taking a gender perspective into account. Gender-specific issues are integrated, especially regarding women in small arms control.